His Excellency Dr. Juergen Morhard was the Chief Guest. Mr. Mark Francis, Executive Director of Malship (Ceylon) Ltd was elected as the President of the Council. Mr.Neil Umagiliya, Managing Director of Dial Textile Industries Limited and Mr. Ranjith Pandithage,Chief Executive officer of Diesel & Motor Engineering PLC were re elected as Vice Presidents for the period 2012/2013. The Committee elected comprised Mr. Niranjan Rodrigo, Director-Quality Standards Aitken Spence Travels Limited, Mr. Senake Amerasinghe, Managing Director, Carmart Ltd, Mr. M Nazvi Hassan, Director, Yasui Lanka (Pvt) Ltd, Mr. Navindra Abeysekera, Director Business Development, Mr. Asoka Hettigoda, Managing Director of Hettigoda Industries (Pvt) Ltd, Mr. H A Reuter, Managing Director of Prestige Automoblie (Pvt) Ltd, Mr. Micheal Elias, Chief Executive Officer, Walkers Tours. Mr. Regina Von Ahn of Embassy of the Federal Republic of Germany was appointed Ex- officio member of the Council. 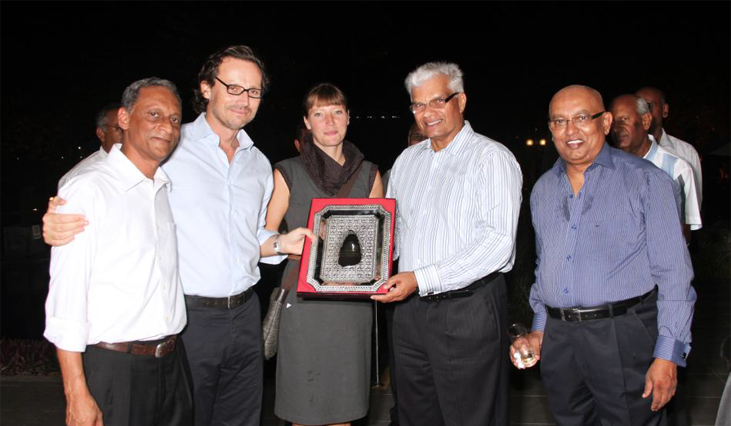 A farewell reception was organized by the Council to His Excellency Jens Plotner on 26th June at Cinnamon Lakeside, Colombo 02. 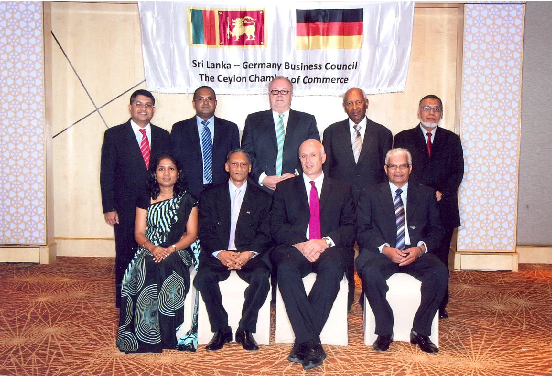 His Excellency Jens Plotner completed his tenure of service in end June 2012 and Sri Lanka Germany Business Council presented a token to the Ambassador in appreciation and recognition of his unstinted support to the council.Key officials from German Embassy and members of Sri Lanka Germany Business Council were present at the event. The Council organized a Luncheon meeting with Dr. Thomas Helfen, Head of Division for South Asia Federal Ministry for Development Cooperation Mr. Guenter Josef Rauer, Head of Division for South Asia -Federal Foreign Office and Mrs. Sandra Schenke, Head of Division for South Asia – GIZ on 8th November 2012 at Colombo Club Hotel Taj Samudra. The meeting enables the attendees to share their experiences and identify potential partnerships between the two countries. 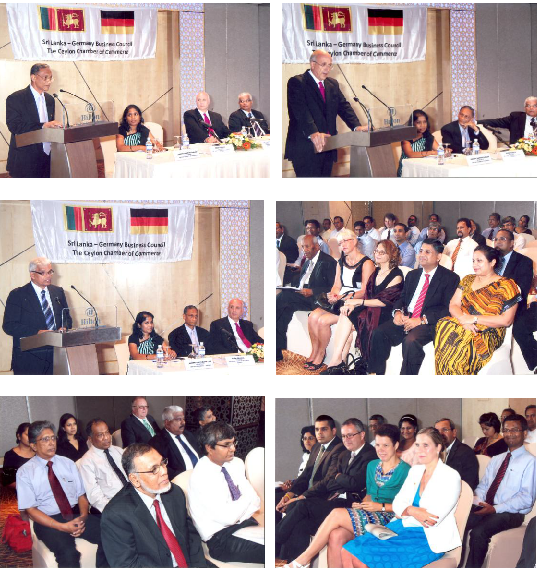 Sri Lanka Germany Business Council in association with German Embassy in Sri Lanka organized a presentation with Ms Spölgen, Vice President Portfolio Management Asia from DEG Head Quarters in Cologne and Mr. Matthias Goulnik,Vice President Asia, DEG on 15th November 2012 at Hilton Colombo Residence. DEG invests in profitable projects that contribute to sustainable development in all sectors of the economy, from agriculture to infrastructure and manufacturing to services. DEG also focus on investments in the financial sector in order to facilitate reliable access to capital locally. 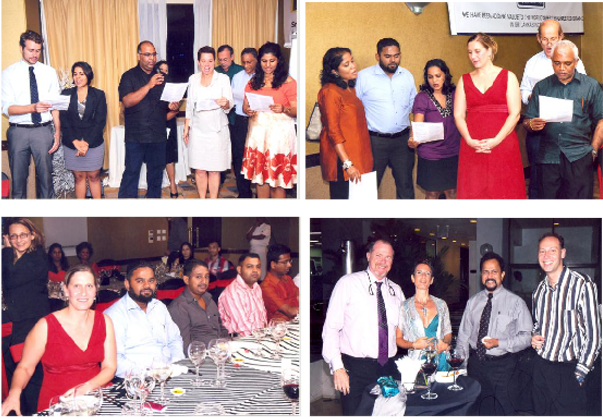 The Council organized a Christmas Fellowship for members on 10 December 2012 at Hilton Colombo Residence, Colombo 02. His Excellency Dr. Juergen Morhard, Ambassador of Germany also graced the occasion. The evening was filled with Christmas cheer, carols, raffle draws and many fun full activities. 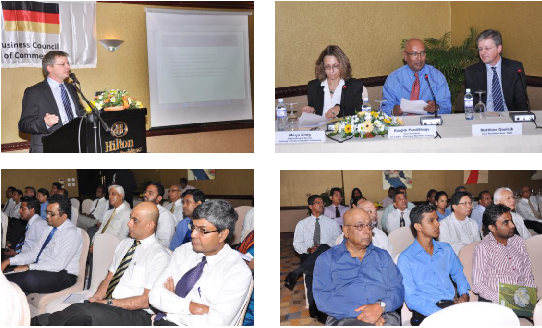 SLGBC organized a presentation on Project Financing opportunities offered by GIZ at the Ceylon Chamber of Commerce Mr. Philipp Steinheim ,Advisor to the Sri Lankan-German SME Development Programme, of GIZ Sri Lanka did the presentation on behalf of GIZ. 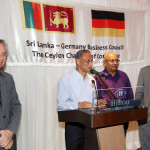 The objective of the meeting was to get an understanding on the financial assistance available from German Government for German companies and for local companies for projects that are connected to the company’s business activities in Sri Lanka and offering benefits for Sri Lankan community.